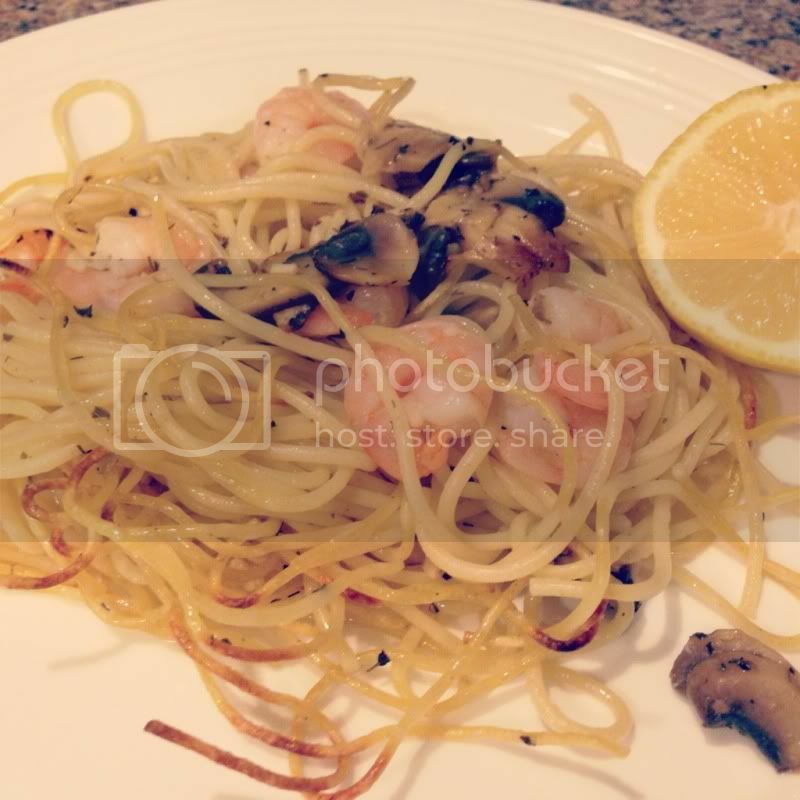 Shrimp scampi was one of those dishes that I thought I would never be able to make. It didn't look complicated, but the flavors were just too good that I though it is something I could only enjoy at a restaurant. That was until my dad shared his recipe with me! However, it makes A LOT of food. I usually just cut the recipe in half and it easily fills up a 9x13 glass dish. Boil 3 quarts of water, cook shrimp for 3 min. Drain and then set aside. Stir in olive oil, parsley, thyme, basil, mushrooms, and garlic. Cover and simmer for 10 min. Mix sauce, pasta, and shrimp together in an oven safe dish and broil for about 6 min. The last time I made this I thought the sauce ended up being a little bland in the end. I'm thinking maybe the mushrooms that were mixed in with the sauce soaked up too much of the flavor. Next time, I think I will make the sauce separately from the mushrooms and not combine them until everything goes into the pan.